Yes, and I want to keep it that way. Except for the color that's actually closer in rgb values to a "dark aqua" than "navy"..? I like the 1 and 9 looking like dolphin heads. We're getting bogged down in semantics here! 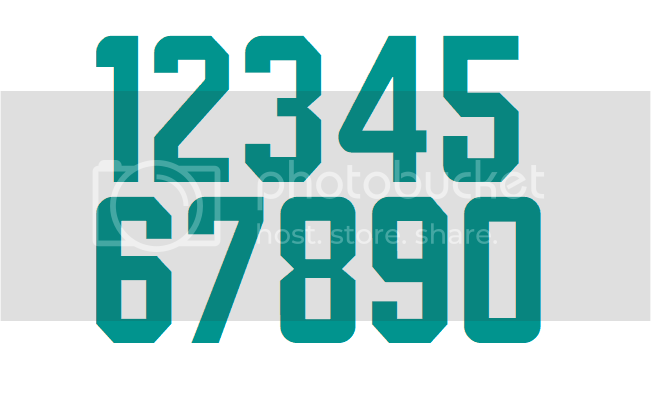 "Dolphin foreheads" was always my take on the goofy rounded corners on those numbers. Of course, they're ugly as sin regardless. Why would I tell you that you’re wrong about that? I didn’t design them. I have no idea what the person or people who did were working from when they did. My opinion is that they could be a lot better, and regardless if the 1 and 9 are *supposed* to look like dolphin heads, I still don’t think they work aesthetically. In the future, though, feel free to send me a message if you want to talk about me. The 1 and 9 look like dolphin heads? I am not seeing it. At all. And why is andrewharrington suddenly taking such a beating? Nope, that's definitely not it. ill bet you $1million they dont. shake on it? Pffft, you're just a guy who works in the team's creative department and has definitely seen the uniforms, what could you POSSIBLY know? I think I'll stick to random twitter and reddit users, thank you very much! If you look at Omar Kelly's latest Tweet...it doesn't look like much (if any) has changed at all. Probably just making the orange brighter and sugar brighter. I would hope that they just have the old helmet stripe on the display. If they made an effort to set a release date for changes, even small changes, they wouldn't want anything out early.